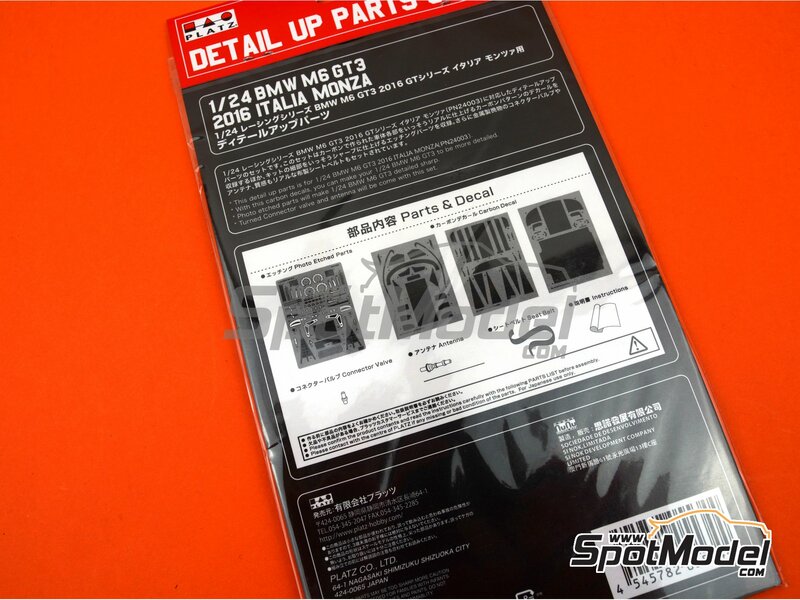 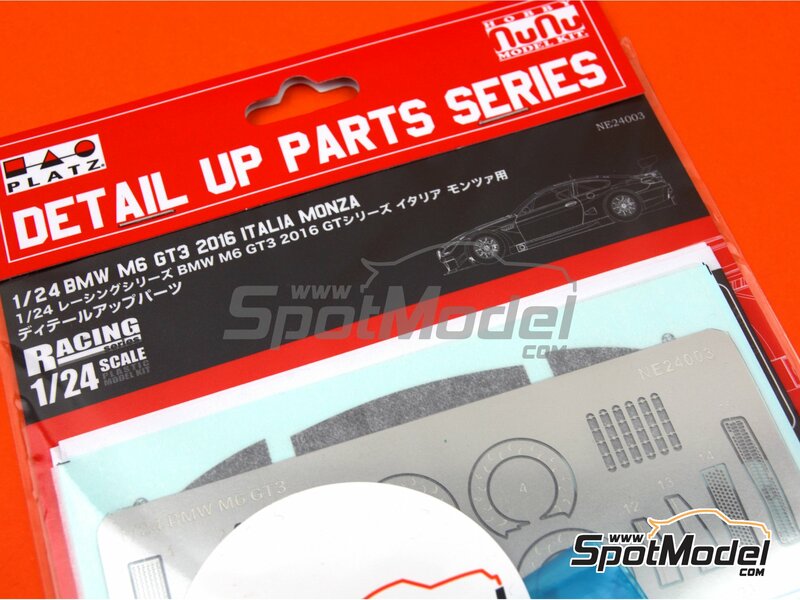 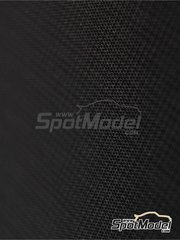 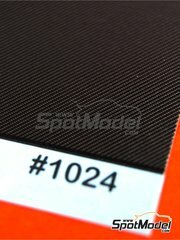 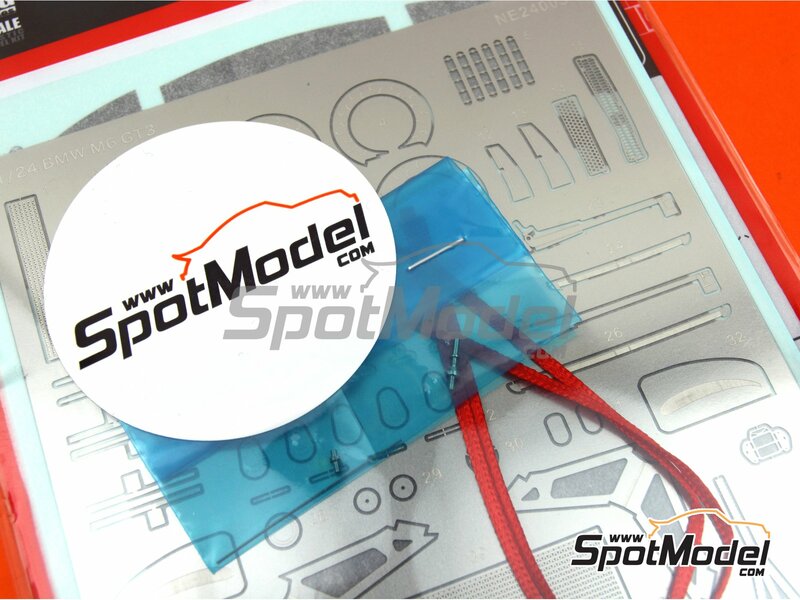 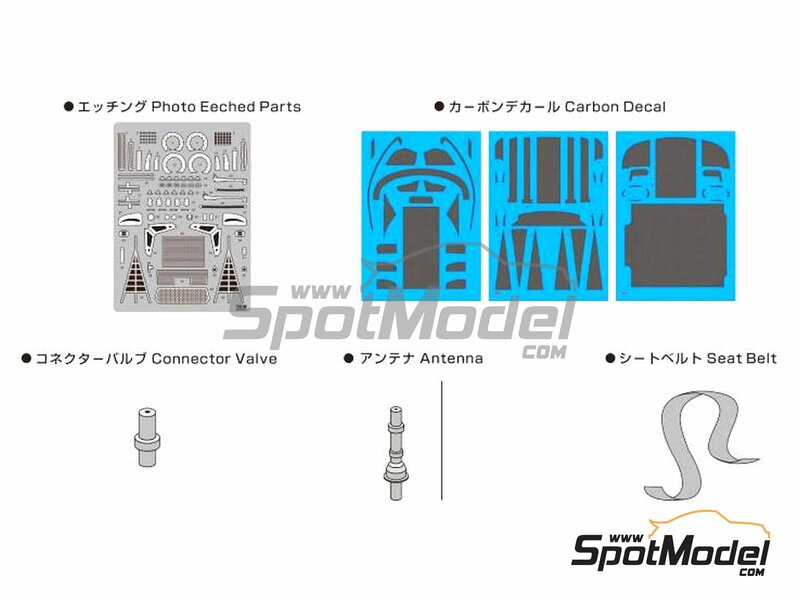 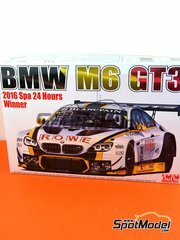 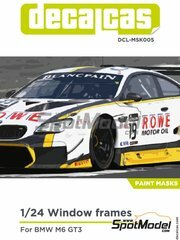 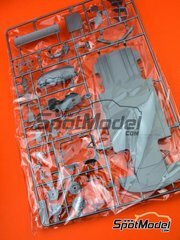 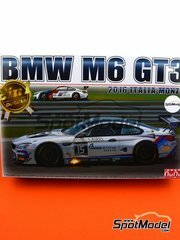 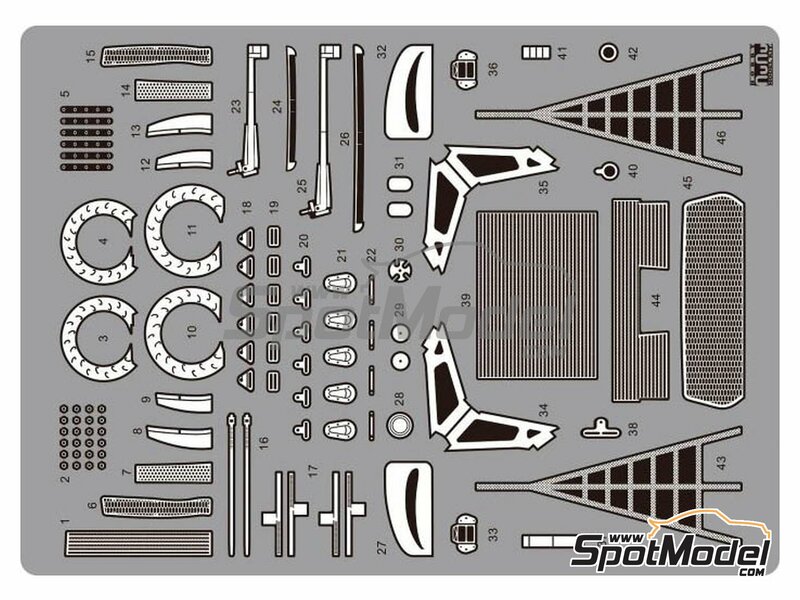 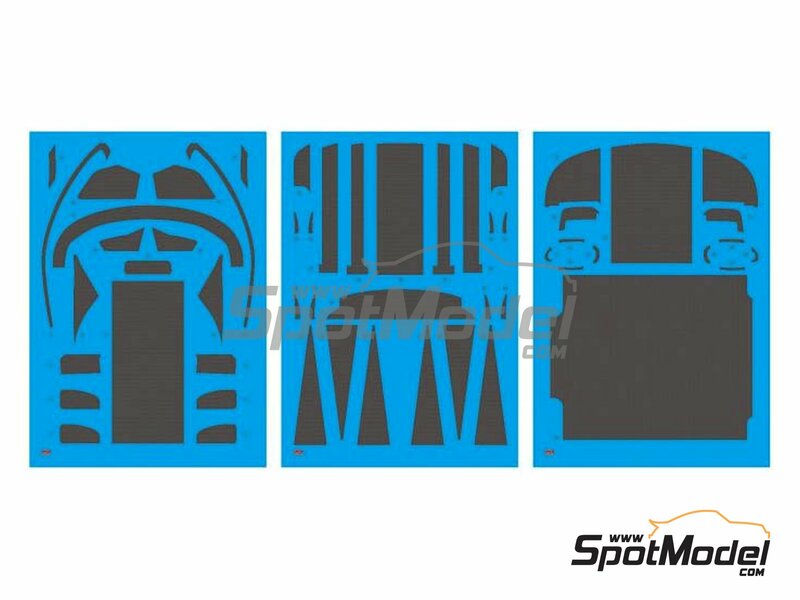 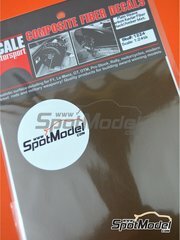 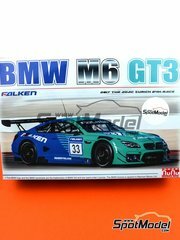 Set of photo-etched parts, carbon decals, and other parts, for improving and detailing the BMW M6 GT3 kit from Platz and Nunu. 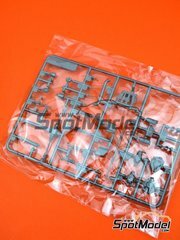 The set works for all the different models previously published. 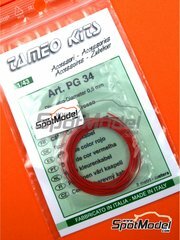 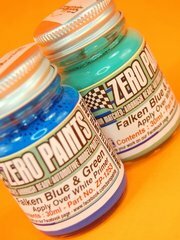 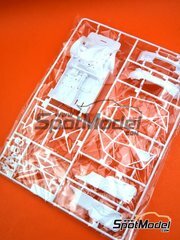 Manufactured by Nunu in 1/24 scale with reference NE24003 (also listed as PN-E24003). 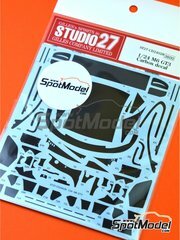 To be used with Nunu references PN24002, PN24003 and 4545782055337, or Platz reference PN24001. 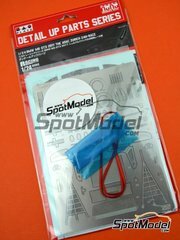 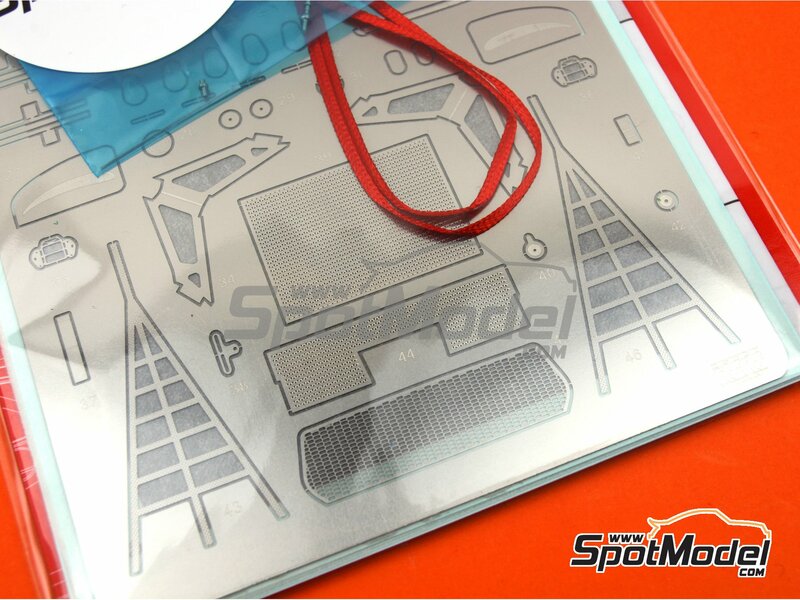 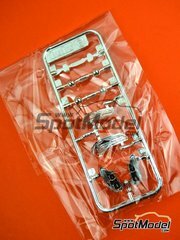 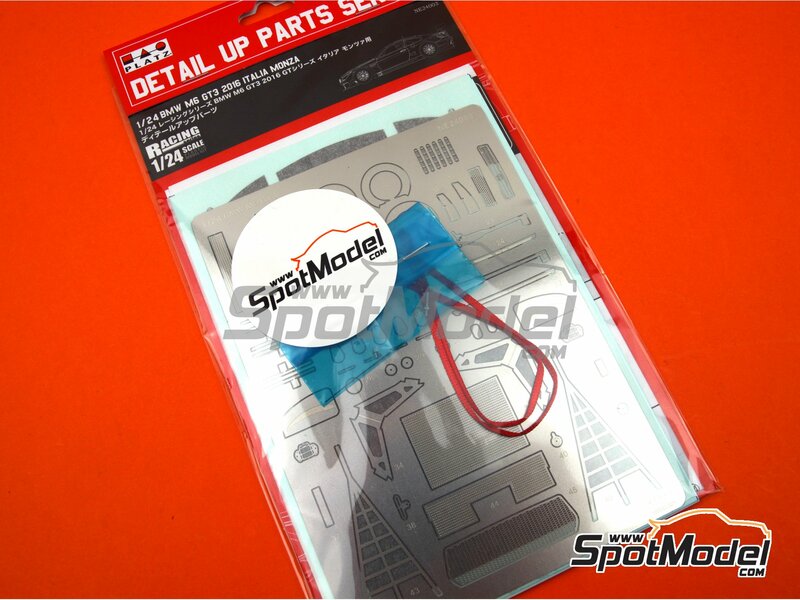 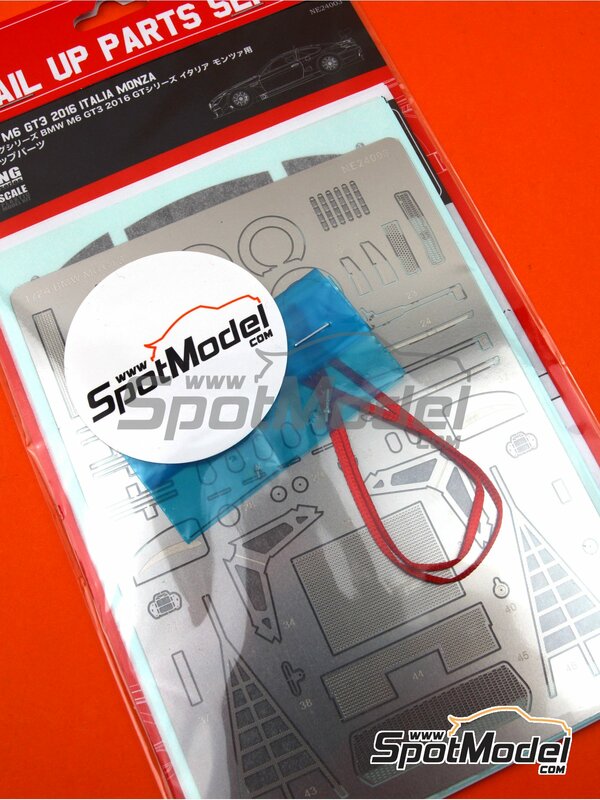 Includes photo-etched parts, seatbelt fabric, turned metal parts and water slide decals. 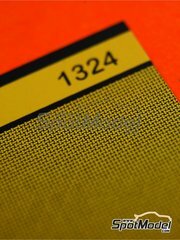 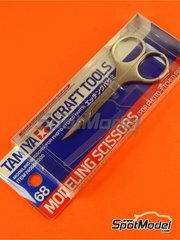 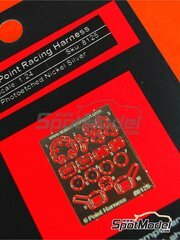 Package measures 115 mm x 210 mm x 2 mm (width x depth x height), weighting 40 g.